Deck or vibration is one of the seven principles of metaphysics presented by Hermes-Djehuty in the Kybalion text. 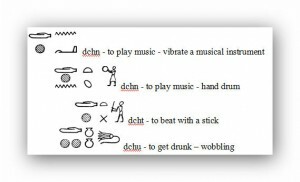 And, as the evidence above shows, the teachings related to Vibration, go back to the hieroglyphic text that Djehuty himself brought into being. 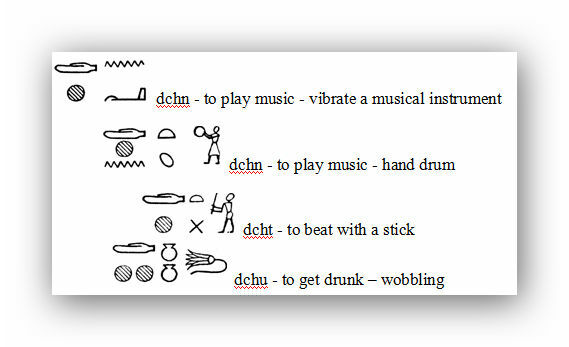 All the derivative terms from the original hieroglyphic term “dchn” convey an aspect of vibration related to the shaking or oscillating effect that occurs in nature. Vibration is the means by which the individual mind (human beings and astral beings) creates thoughts and also the means by which the cosmic mind (God) brings into being and sustains Creation. The faster the vibration the subtler the manifestation of matter will appear. Conversely, the slower the vibration the more gross the material manifestation will appear. In the practice of the Sema Arat Shekhem (Ancient Egyptian Serpent Power Yoga) the practitioner directs attention to the base of the spine and causes the latent energy of the Life Force to concentrate and accumulate there. Then it is cultivated and raised. The Life Force is controlled by the mental meditation on the point that causes it to focus and become dynamic, as opposed to being unfocused and diffused (weak). Am is a universal word of power which was used in ancient Kamit (Egypt) and is used extensively in India by yogis. Om or AUM* is related to the word Amun from ancient Egypt and Amun is related to the Amen of Christianity. Therefore, Om is generally useful for spiritual practice. Om* is also not related to a particular deity but is common to all. It is also the hekau-mantra of the 6th energy center at the point between the eyebrows known as the ancient Egyptian Arat or Uraeus serpent and the Third eye of Shiva in India. You will use hekau for chanting during your worship periods, and at idle times during the day. You will use it from now on to dig deeply into the unconscious regions of your mind as a miner uses a pick to cut into a mountain in search of gold. The movement, “dchn” of objects in Creation causes the illusion in the mind due to the illusory senses, that there exist solid objects and that one is a solid personality. When the vibrations (fluctuations) of the mind are controlled and caused to become subtler, the illusoriness of the physical world becomes evident. Therefore, the chant of Am along with the visualization exercises is to be practiced along with purity of body through righteous diet and job occupation as well as actions in the world based on righteous Maatian principles. Also, the mind is to be purified by studying the righteous principles. Then, with the assistance of the Serpent Power, the mind will open to the higher levels of consciousness. So during the practices of focusing and accumulating the life force the Am chant or chants that incorporate the Am will be used. Included below are two types of words of power: short, containing one or two syllables, medium length, containing two to three and average, containing six to eight. They are presented as guidelines for practice of hekau-[mantra] repetition practice. If using the ancient Kamitan music during meditation practice the practitioner will take care to use only those songs that use the appropriate chants and vibrational rate (Steady and processional as opposed to variable and festive). Allow yourself to go deeper within because the mental vibration, the mental chant is actually higher than your vocal, audible chant. If I say “Om” as opposed to doing it mentally and deeper within myself the physical vibration actually has lower power. So at some point you have to stop the audible, gross, physical practice and go deeper within. The deeper you go within, the farther you remove yourself from the physical plane, you go to the Astral (mental) plane, then you go to the causal plane, (higher ethereal plane). It is why the more consolidated your ego is, the more egoistic you are, the more you believe that you are a physical personality, the more you are limiting your power. The more you realize that you are transcendental and all encompassing and unlimited, the higher is your power. As you move in this way to elevate your mind to discover these higher rates of vibration by becoming virtuous first of all. That is the first step and then learning how to calm the mind and controlling your mind as was discussed by allowing yourself to vibrate at the level that you choose. Here is the difference between an ordinary person and an initiate. The initiate, the priest/priestess of the mysteries learns how to control the mind to make it vibrate at whatever rate he or she chooses. The mental state can only change when you are at a higher rate of vibration yourself. You are realizing that you are not body, that you are spirit. You can dictate how your mind vibrates. You can dictate whether it manifests a lower energy or a higher energy. You can pick what your moods are. No longer are you controlled by your moods. No longer are you controlled by insanity, your thoughts, by worries, anxieties so on and so forth. You can recognize these negative vibrations and you can repudiate them. You can reject them. This takes practice; this takes years of practice of certain techniques and meditation. This is why the teaching enjoins that you should not be playing music that is agitating, music that is degrading. You should not be living in conditions that are degrading with morose colors and dullness around your life. You should not be living around people because people vibrating at certain levels, because if you are a weak personality they are going to have an effect on you. They are radiating vibrations that are going to have an effect on you. You want to be in the company of sages and saints and you want their influence to vibrate on you, to have an effect on you. That is what you want. That is why the teaching of good association has been enjoined. This is why egoism is spoken out against in the teaching. If you are an egoistic personality and you are vibrating at a certain level because of that, your vibration level is going to prevent the influence of the saints, sages and gods and goddesses on you. If you think that then you know everything, you are putting out certain vibrations or aura around yourself that will prevent the vibrations from the teacher to penetrate your personality and allow your personality to begin to understand. Understanding allows you to vibrate on the higher level because you are blocking it. Therefore you want to open yourself up to that. Never mind that some people have higher charisma and they have a strong personality, an imposing personalities. They have such control over that aspect of their personality that they can actually control people of lower mind. You see it all the time, politicians with their influences, their advertising, and repetitious power, their vibrating mantra, that’s even how commentators on TV refer to it now, as a mantra. Politicians, advertisers, the millitary, but also individuals try to control others, singers, like parents, peer groups, etc. try to control people on the lower level. They control ordinary people who are ignorant and or weak willed. They are vibrating at a certain lower level of vibration by a song by which they live that has been dictated to them, has been imposed on them. Have you noticed that when people go to a concert or are in the presence of their singing idol, they mouth the words of the songs? those lyrics are hekau or mantra that inculcate the thoughts and feelings of the song and thereby molds the mind in the dictated fashion. So what music and audiovisual entertainment a person uses is not necessarily harmless. If used properly it can be powerful and beneficial towards achieving worldly worthy goals and worthy spiritual goals or it can serve the purpose of commercialization and or militarization. Sages and saints have a different melody that they are vibrating at; a different song that they are playing internally. You notice when we do the drumming or we play the music some of you may be off, some of you may be playing a slightly different beat, slightly different vibration and those kinds of things. How many of you can stay on track with the main beat, with the main rhythm, and this is the same thing with the world. You have a teaching that is at a certain vibration; the teaching itself has a certain vibration. Every book that has given to you has a certain vibration, mental vibration. When you go out into the world and other people are around you with their vibrations and their worldliness and their thoughts and so forth, how are you affected by that? Can you go on and play your music, your song? Or are you thrown off when you hear other people’s beats, other people’s melodies, when other people’s singing off key and this kind of thing? What is that deal? This is your task to be so strong in the higher vibrations that you cannot be affected by the lower. 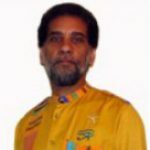 Just as music can be reproduced at will and colors, you should learn how to reproduce your vibration at will. You can be free of ignorance, free of limitation. At the higher rate that you vibrate, you liberate higher forms of energy. As I said before, you can control other people’s minds if you choose, these are kinds of psychic powers that develop that you should not use but these develop. The mind is then vibrating at certain levels so you can be in contact with other forms of beings on the mental plane on the ethereal planes. Now there you just can’t see it because you are vibrating at a lower level, ordinary people cannot see them and they are fearful of them. Vibrating at the higher level you have insight into your expanded self. 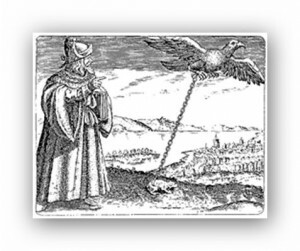 Therefore the Kybalion says finally that, “If all this is done he/she who has grasped the principle of vibration has grasped the scepter of power.” Of course that scepter of power is not just the Heka or scepter of power and dominion as if a Queen or King but the Serpent Power; the Serpent of Djehuty; the Serpent of Hermes; the Caduceus. You practice the meditation on each energy center raising its level of vibration, raising the colors and gradually reaching the highest. This is called mental transmutation. You can transmute, you can transform the color and vibration of your mind. If you were to develop sufficient power you could actually perform upon physical matter and transform its form, change its form. You could turn an apple into an orange. Or you can act upon yourself and make your own body dissolve and then reappear somewhere else in the world if you so choose. These are higher psychic powers that develop. But these take even more work than just changing your vibration and attaining enlightenment. It can be done, if you want to work twenty, thirty, forty, fifty years practicing meditating on these psychic powers, you can develop them. This is the kind of power that God has. That is what God has done to create all things that are on Earth. This how Ptah create by thinking the world into being. Thought vibration acts upon matter which is vibrating at a lower rate and reforms it. This is also why that which is at a higher vibration permeates that which is of lower vibration. The Self, the Spirit is vibrating at a higher vibration deep within every aspect, every particle of creation. Like the sun vibrating at the center of the solar system, the Self is at the center of all matter, all creation. That which you see as the physical aspect of matter, that is on the outskirts, on the outer fringe. As I said before the outer fringe is vibrating at the lower level; the inner essence is vibrating at the higher level. In between these two poles, the higher and the lower, there are millions and millions of individual states of vibration. A human being oscillates between them all of the time. Sometimes you feel up; sometimes you feel down; sometimes you feel good; sometimes you feel sad. These are all levels of vibration and again you must learn how to control yourself to vibrate at the level you want. You must realize that learning how to control your vibratory level also means necessarily learning how to transcend them. Once you control something, you have transcended it. That is the axiom, the law. If you control your emotions, you have transcended them. If you control your anger, you cannot be angry anymore even though you may act angry or express anger so on and so forth. This why sages and saints are said to have transcended. They are said to be beyond even though their personality, their body continues to exist, and they use those vibrations in order to teach people. This teaching, this concept of vibration, this is the source of all power that sages and saints use. This is one thing sages and saints must learn how to use. Think about it. A story is given of Aset in the Asarian Resurrection, which is a great epic, a little story that is told of Aset and Set. Aset is the Goddess of Wisdom and she is of course vibrating at the highest mental level, and she was able to do this by discovering her true nature. 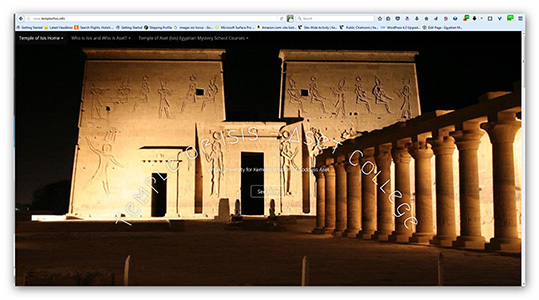 That was given in the previous story of Ra and Aset. But in the story of Set and Aset, Set is the ego; remember he is the brother of Asar, who murdered him to take the throne. There was this trial, a tribunal that was convened to see if Set should be allowed to keep the throne or if it should be given to Heru. So Set did not want Aset to be allowed in to the court because he knew that her words are powerful and that she is smart and that she could outwit him and those kinds of things as an advocate, or a lawyer for Heru. So he had her barred but Aset found him and she saw him walking down a path and then she cleverly used her power of mental vibration to transmute her body, she changed her body into the body of a beautiful woman. So using her power she transmuted her body to transform her body into the body of a beautiful maiden. Set was walking down the path; he saw this beautiful maiden and she acted as if she was crying, as if she was sad. He asked her, “My dear maiden, what is the problem, what is wrong?” She said, “Oh great sir there’s this man and he has killed my husband and he’s trying to take our land away and the land belonged to my husband and this land that should rightfully belong to my son, he is trying to take that away.” “What can I do?” “I’m just a powerless woman.” Then Set says, “Have no fear, great and beautiful lady, I will take care of you and your son and know that this is unrighteous and no man should be allowed to kill a man and take his land and then, to his wife and deprive the son from his rightful inheritance”. As soon as he said those words Aset transformed herself into a kite, a form of hawk, and flew up into a tree and transformed herself back into her goddess form and started taunting Set. “See now you have decreed your own fate, you who killed my husband, and you tried to take my land away, which is Kemet, from me and my son, Heru, who is the rightful heir. So those who vibrate at higher level of mind can act upon, manipulate, those who vibrate on lower levels of mind and can trick them into certain things, for good or bad. What happened in this situation? She was being protected by higher beings, beings of higher vibratory essence, who caused an illusion in the mind of the muggers, the mind of lower vibratory essence. The vision was there because the lady was also of higher vibratory essence which is what elicited the vision. By posing a vision in someone’s mind you can change their perception, a simple energy tweaking them in their subtle senses. This can also be done retroactively. The memory of the weak-minded can be manipulated so that they might start believing that the old days were the good old days or that the childhood was miserable even if it was not, etc.. You make them believe something. Of course, this is also in accordance with your Ari, with your Karmic basis. This cannot happen if you are virtuous and sound of mind. It depends on their level of virtue, metal health including understanding the wisdom teaching. So God, in the form of Maat and Aset, are watching our back in other words. The more virtuous you are the more purer that you are and the less susceptible you are to manipulation and falling for the delusions of life; and if some adversity were to befall you then too you have access to the higher vibratory power of Aset and Heru at your disposal, to confront the situation and successfully make it through. So you don’t have to worry what your fate is going to be, you can trust the Divine in other words, and relax. But turning back to the teaching of vibration, this is the great art that must be learned by aspirants. You should not be like those people who get caught up in and licked into feelings and emotions or ways of thinking. You should not be a prisoner to your moods. Rather, you should be able to change your mood at will or be devoid of moods if you want to. In this way you can harness the power of moods, the power of emotions to place that power at the service of your ethical conscience, your righteous thinking process. Then you will not go against what you know is right because of feelings or desires and you will be able to handle the situations of the world without being emotionally hurt or crippled by them. When you detect a lower form of vibration in your personality, a feeling of depression, of angst, of hatred, lust or fear, you will be able to act on the mind to oppose that level of vibration with a higher form, with hope, confidence, understanding and peace. This is control of mind, self-mastery, that is necessary to succeed on the path of life and spirit. This is learning how to as the text says, “polarize your mind,” in whatever vibration level that you want. Of course, as you vibrate at higher levels you are going to eventually dissolve your ego personality; you are going to disintegrate, this is the program of the Serpent Power teaching, Arat Sekhem; the whole object is to dissolve yourself and use the life force energy to do that, to carry you into higher levels of vibration. This is actually a natural process, a reverse of the process that brought your physical personality into being. But here you don’t want to disintegrate your physical body. You want to disintegrate your mental body, your causal body, which contain your ego identity and self concept of individuality and separateness from Creation and the transcendental Absolute. In this process of spiritual transformation your physical body continues until the end of its life. At the time of your death you’ve already disintegrated your mind so there’s no death process to experience and you continue on existing as you were before but in a higher plane of existence; this level we may term gods and goddesses, the Neteru. Of course, if you go to the highest level then you dissolve in the Absolute as a drop of water in the ocean and your existence is universal and of course this level is referred to as Neberdjer, ALL ENCOMPASSING CONSCIOUS EXISTENCE. So you can see and understand how important the beginner, the neophyte stages of spiritual path are; because in order to reach the successful goal of the spiritual journey it is necessary to prepare the personality for higher vibration and that is done through meditation, acting virtuously, cleansing yourself physical body, studying the philosophy, etc. so that when your personality may begin to reach higher levels of vibration, when the higher energy goes through your life force energy centers and your physical body, it will not cause a nervous breakdown (short circuit) or a spontaneous combustion (damage or destruction of the nervous system [including the brain]. The special chants are also part of the discipline. Using the Hekaus, the words of power, the chants to lead your constitution to higher vibration and then a place of coming to a point when silence and internal elevation is experienced. So when practicing the discipline of chant, you chant them physically, audibly, in the beginning; than mentally and going higher one reaches a point where the chant is inaudible even at a mental level. This is transcendental level and the chant has carried you, your consciousness there to that transcendental place. That is how the practice is enjoined. This takes several hours of practice per day. You must practice two to three hours per day in order to make this happen. You must act with complete virtue. 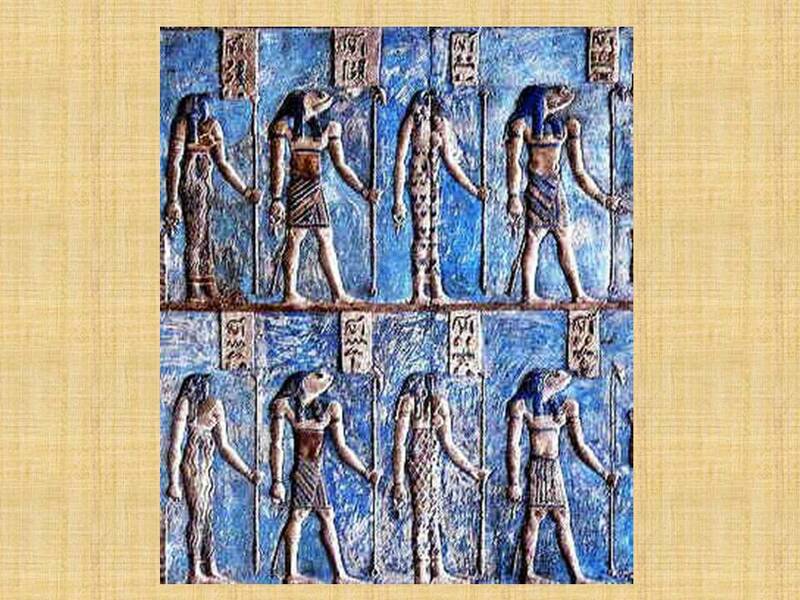 You must follow every regulation of Maat. You must be faithful; you must sing the Divine song within yourself regardless of wherever the world is leading. Then you will attain the highest rate of vibration. Chanting: Om, Hetep, Hetep, Hetep. I don’t want to remain a prisoner to my moods, they have to be corrected. I will further myself into the development of mind control and self mastery. I know all this is necessary to succeed on the path of life and spirit as you say. I want to dissolve my ego personality. I know I have it in me to do all these things and I am moving forward into the ancient teachings of the Egyptian Sages, loving the work and getting myself stronger. I am acknowledging my higher self and making room for greater obedience. Things will become much better for me with the attention I am putting into restoring my mental and physical health. I will then be able to control more energy and vibrations. Great stuff. I would also like to ask if you are going to make a book about Egyptian numerology and/or Egyptian astrology? New Book Project Mysteries of the Kybalion -Chapter 3: Principle of Vibration has been posted to the Egyptian Yoga web site and is now available for reading.